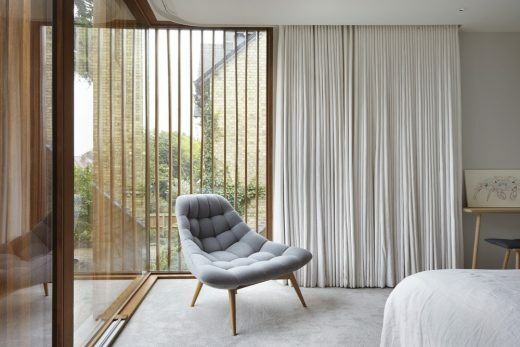 Coupdeville Architects have created a stylish contemporary family home on a site in West London formerly occupied by an unremarkable bungalow. 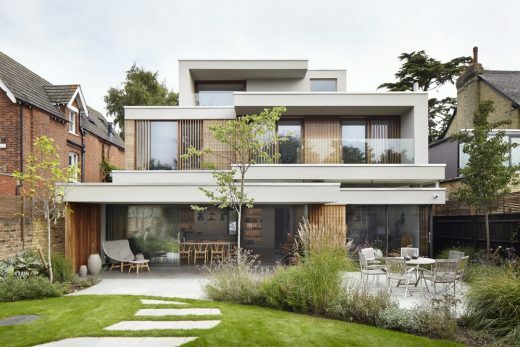 This substantial, environmentally efficient family home responds to the client’s brief, providing 5,000 sq ft of accommodation arranged over three storeys and a basement. 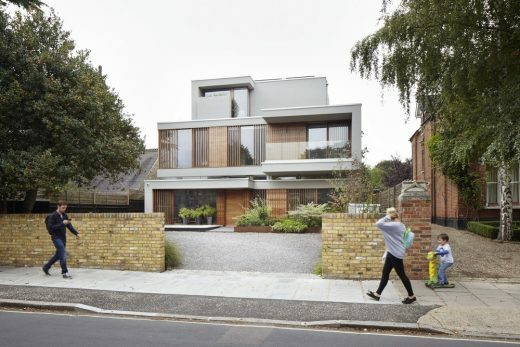 Similar in scale to its immediate neighbours, the scheme was awarded early planning approval. The design is a series of stepped, framed boxes which allows both an interaction of the forms and provides a series of terraces and overhangs. 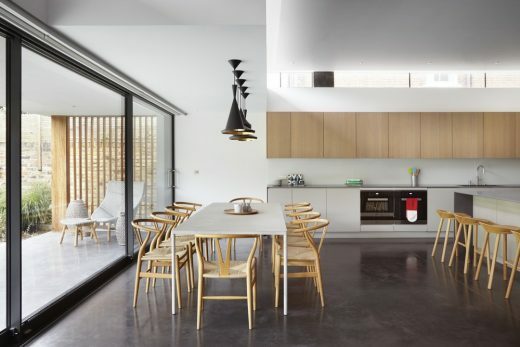 The clerestories between the ground and first floors animate the space and allow daylight to penetrate deeper into the home. 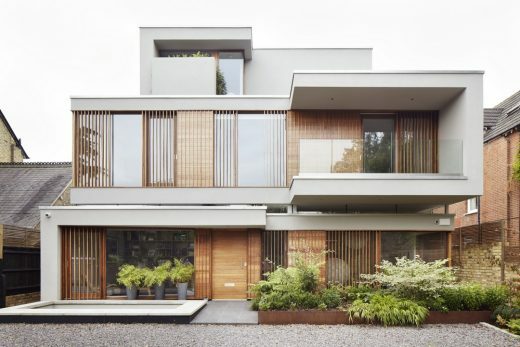 From the street this series of set-backs culminates in a second floor master suite configured as a distinct pavilion. 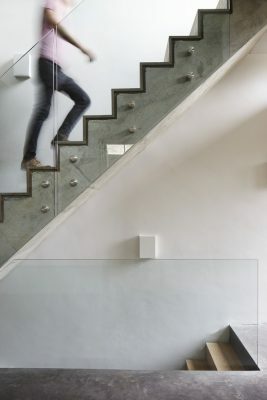 and brings light into the basement spaces through imaginative use of voids and light wells. 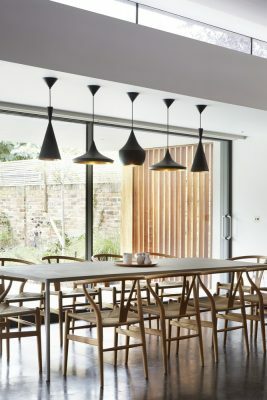 Timber louvres set into the frames provide shade and privacy whilst mediating the transition between the solid walls and the floor to ceiling glazing. 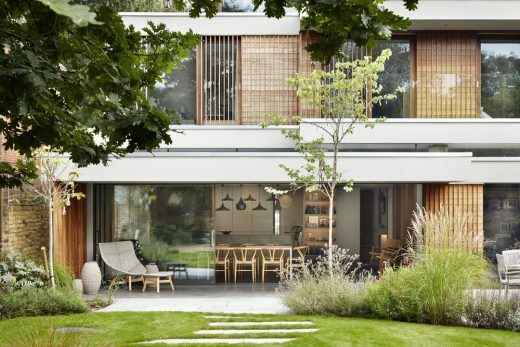 Coupdeville has also designed the softly contoured landscaping scheme which provides a subtle foil to the contemporary aesthetic of the house.